Flying in the face of the long-standing US bipartisan policy of rejecting the so-called 1967 borders, there is increasing concern that President Obama's parting shot at Israel might be to either endorse such a resolution or fail to veto it. Such actions would have incalculable consequences -- not least a flare-up in violence and the prospect of global sanctions against Israel. Depending on his audience, Palestinian Authority (PA) President Mahmoud Abbas claims to desire a two-state solution. But his actions speak louder. How can it be possible to bring about peace with a country or a people that you constantly vilify and attack? Hatred of Jews and denial of their rights permeate PA speeches, TV shows, school-books, newspapers and magazines. Arab Jew-hatred has caused Britain up to the present day to sometimes fail to condemn Arab aggression against Israelis, and to find excuses for their violence. All in the name of appeasing the Arabs and their supporters in the Muslim world and even at home. Britain can be intensely proud that it alone embraced Zionism in 1917. And it was the blood of many thousands of British, Australian and New Zealand soldiers that created the conditions that made the modern-day State of Israel a possibility. Even 99 years after the world-changing Balfour Declaration, we still have our work cut out for us in supporting the Zionist project, which owes so much to the unequalled historic backing in Great Britain. This week we enter the centenary year of the Balfour Declaration. This document, signed on November 2, 1917 by the British Foreign Secretary Arthur Balfour, was the first recognition by one of the world's great powers -- in fact at the time the greatest power in the world -- of the right of the Jewish people to their national homeland in Palestine. The man whose constitutional tenure as Palestinian leader expired seven years ago, yet remains in place. The man who raised funds for the 1972 massacre in Munich of 11 Israeli Olympic athletes. The man who misused millions of dollars of international aid intended for the welfare of his people. The man who dismissed as a "fantastic lie" the six million Jews who perished in the Holocaust. At a dinner held by the Zionist Federation in London on April 12, 1931, Sir Herbert Samuel, British High Commissioner in Palestine from 1920 to 1925 and the first Jew to govern the historic land of Israel in 2,000 years, said: "In time the Arabs will come to appreciate and respect the Jewish [standpoint]". Unfortunately, as Abbas's demands demonstrate only too clearly, he could not have been more wrong. It is sometimes claimed that Arab violence towards the Jews began with the Balfour Declaration, which created in their minds a feeling of betrayal by the British and an apprehension of Arab subjugation under Jewish governance. This ignores the murder and massacre of Jews by Arabs in the Middle East, including in Jaffa and Jerusalem, throughout the 19th Century and in the 20th Century in the years before 1917 -- just because they were Jews. It caused Britain to abstain from the 1947 UN General Assembly resolution that brought about the re-establishment of the Jewish state in 1948. And even to appoint a British general -- Sir John Glubb -- to lead the Arab Legion's invasion of Israel immediately afterwards. Those soldiers were above all the instrument of the will of one of the greatest Prime Ministers in British history: David Lloyd George. There are many arguments about the motives for his actions over Palestine. But not only was he the true motivating force behind the Balfour Declaration; he also ordered and drove the defeat of the Ottomans in Palestine that breathed life into his Foreign Secretary's words to the Zionist Federation. "The Jews surely have a special claim on [Palestine]. They are the only people who have made a success of it during the past 3,000 years. They are the only people who have made its name immortal, and as a race, they have no other home. This was their first; this has been their only home; they have no other home. They found no home in Egypt or in Babylon. Since their long exile they have found no home as a people in any other land, and this is the time and opportunity for enabling them once more to recreate their lives as a separate people in their old home and to make their contribution to humanity as a separate people, having a habitation in the land which inspired their forefathers. Later on it might be too late." The White Paper was described by Lloyd George in Parliament as "an act of perfidy" and by the Manchester Guardian as "a death sentence on tens of thousands of Central European Jews." The words of the Peel Commission, which investigated the Arab unrest, apply as much today as they did in 1937 when they were written: "The hatred of the Arab politician for the Jewish national home has never been concealed and... it has now permeated the Arab population as a whole." The Balfour Declaration, signed 100 years ago this week by the British Foreign Secretary Arthur Balfour (left), was the first recognition by one of the world's great powers of the right of the Jewish people to their national homeland in Palestine. 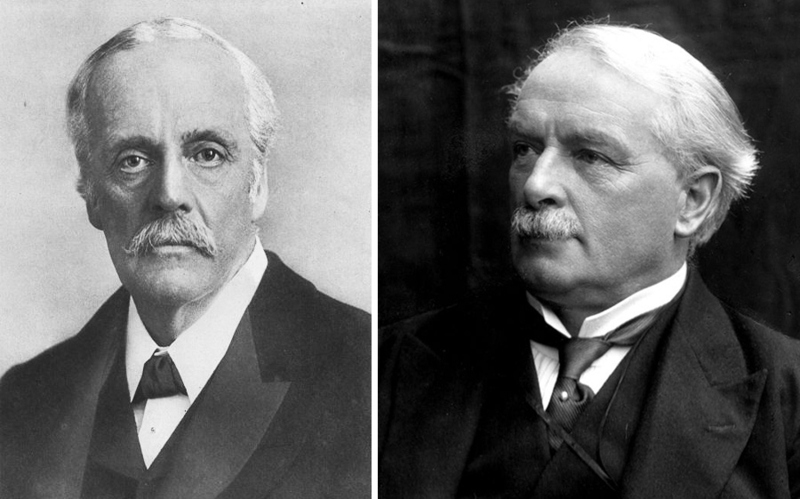 David Lloyd George (right), then Prime Minister of Britain, was the true motivating force behind the Balfour Declaration; he also ordered and drove the defeat of the Ottomans in Palestine that breathed life into his Foreign Secretary's words. The Arabs rejected the British proposals for partition of the land in the 1930s and again rejected the 1947 UN partition plan. Since then they have had numerous opportunities for the creation of a Palestinian state. All have been rejected. They have preferred to attempt Israel's annihilation by terrorism and war, rather than find an opportunity to live side by side in peace. Depending on his audience, Palestinian Authority (PA) President Abbas claims to desire a two-state solution. But his actions speak louder. How can it be possible to bring about peace with a country or a people that you constantly vilify and attack? Hatred of Jews and denial of their rights permeate PA speeches, TV shows, school-books, newspapers and magazines. Murderous terrorists are glorified by naming football teams and sports stadiums after them. They are incentivised to violence by salaries and payments to their families -- funded of course by the American and European taxpayer. Everywhere there is incitement to hate. Only a few days ago we saw the consequences of failure to hate for four hapless Palestinians who dared to fraternise with the "Zionist enemy" when they entered the Mayor of Efrat's succah. As we know only too well, the violent attacks against Jews, seen so frequently in the 19th and early 20th Centuries, continue unabated to this day. The latest just last week when three Israeli soldiers were shot and wounded by an Arab gunman near the Jewish town of Beit El. In recent weeks, we have seen the Palestinian Authority's efforts to expunge Jews and Judaism from any connection with their undeniable history and holy places via grotesque and nonsensical resolutions at UNESCO. "Zionism has brought to an old land, a renowned but a ruined old land, new wealth, new energy, new purpose, new initiative, new intelligence, a new devotion and a new hope. Zionism has not finished its task, far from it, but it has already accomplished so much as to demonstrate that the land flowing with milk and honey was no baseless legend." Even he would be astonished to see just how much further Israel has ascended in the intervening 85 years. But despite Israel's seemingly boundless progress, she remains under attack not just from the Arabs of the Middle East but also in the West, in Europe and in the UK. Despite a myriad of their own dire problems and the ongoing bloodbath in the Arab world, the Europeans, led by the French, seem hell-bent on trying to impose the so-called 1967 borders on Israel through the UN Security Council -- lines described by legendary Israeli Foreign Minister Abba Eban as the "Auschwitz borders." Flying in the face of the long-standing US bipartisan policy of rejecting these borders, there is increasing concern that President Obama's parting shot at Israel might be to either endorse such a resolution or fail to veto it. Such actions would have incalculable consequences -- not least a flare-up in violence and the prospect of global sanctions against Israel, which would rightly be unable to accept such a resolution. Only a few days ago we saw despicable scenes of anti-Semitic hatred and lies at an event in the House of Lords in support of Abbas's absurd demand that we apologise for Balfour. In the same week, we witnessed another vicious outbreak of anti-Semitic abuse at University College London, where Jewish students were forced to seek refuge in the face of an aggressive effort to shut down their freedom of speech by so-called supporters of Palestine. But as Lloyd George said of this great venture: "Can you recall any movement worth prosecuting that has not encountered obstacles? Can you recall one persevered in with courage and faith where such obstacles have not been overcome in the end?" David Lloyd George, as in so much else, was of course right. And the words of this Welshman who saw so much in common between his own tiny country and the homeland of the Jews, whose nonconformist upbringing gave him a feeling of familiarity with the Holy Land, are words that should guide those of us who support the State of Israel today: "This Mandate [for the Jewish national home] must be carried out not nervously and apologetically but firmly and fearlessly." When hate is taught to youngsters at an early age it becomes hard-wired. Anti-Semitism is a learned response and breaking this conditioned response virtually impossible. So, anything that has to do with Jew hatred, will be reinforced. it would take generations of civility to erase anti-Semitism, which has been encouraged by centuries of Jew haters. It is refreshing to read articles like this which clearly puts the ball in the antisemitic Arabs and Jews hating EUs court. Unfortunately until we have REAL leaders and not career happy politicians things are unlikely to change for the better. Will Teresa May Raise Britain's flag for what is RIGHT and veto? Another great article from Richard Kemp. What we are seeing today is a seismic shift in the world order events. We are under siege on all fronts, our way of life is being threatened, our freedom of religion is being threatened, our freedom of thought is even being threatened. Europe is doomed unless it gets it act together fast, the writing is on the wall. The Western European politicians are gambling with our very existence. The following quote was never more relevant "Lions led by donkeys". Thank heavens we are scheduled to divorce from the EU. before the s__t hits the fan in Europe and it descends into all out civil war in the not too distant future. Thank you Col. Kemp for your wonderful input, have you ever considered applying for the job of Prime Minister, if you do I will certainly vote for you. Neither the Jews nor the "Palestinians" but the Western world. Keeping the ME on edge, a necessity! So Palestinians want an apology for the Balfour Declaration, they feel aggrieved that Jews were allowed to return to what had been their land after being kicked out by the Romans nearly 2000 years earlier, and long before Mohammed was born. If that is fair and reasonable, then isn't it also fair and reasonable that the remaining Christians of the Middle East should receive an apology (and recompense) from the followers of Mohammed for evicting them from that same land? Perhaps the Israelis should get an apology from the Pope, the last living vestige of the Roman Empire? And there are other apologies due, from the Muslim conquerors of Northern India who wrenched that land from Hindus who had lived there for centuries before Mohammed was born, and the British who followed on; but who owes the greater apology? One could go on...Could not the Welsh sue for compensation from the English...and the latter from the Normans? To pursue this line of argument everywhere in the world where it could be applied, shows it to be both futile and childish. The San Remo Resolution 1920, together with the Mandate for Palestine 1922, gave all the territory West of the Jordan River to the Jewish People as their National Homeland. In 1948/49 Jordan, through an act of war, captured Judea, Samaria and East Jerusalem. 19 years later in 1967, following another act of war by several Arab countries, Israel recovered all of her territory captured 19 years previously. But here is the great mystery. Instead of Judea, Samaria the East Jerusalem reverting back to being an intrinsic part of the Jewish National Homeland, it was instead given the title of "Occupied Palestinian Territory", also known as the "Occupied West Bank." Surely that bit of underhand skulduggery is a major part of what keeps the flames of Jew-hatred and this dispute between Jews and Arab Palestinians alive and burning brightly. That together with the $millions that flow, year after year, into the coffers of the Palestinian Authority in the "West Bank" and to the HAMAS terrorist group which have ruled the Gaza Strip since Israel withdrew in 2005. All contributions eagerly received from the taxpayers of America, the EU, individual European countries and of course, from several Arab states also. We now also have UNESCO, one of the tools of the Islamic dominated UN, attempting to erase Jewish history in Israel by rebranding Jewish Holy sites as Islamic Holy Sites. The Temple Mount being the latest victim to, first, have it historical Jewish connection obscured and later down the line, removed completely. Regardless of the fact, that King Solomon built its first Temple more than 950 years BC and Islam did not make its appearance until the 7th century AD and Muslims not capturing Jerusalem until 639 AD, UNESCO is nevertheless attempting to have the Temple Mount referred to in its literature only by its Arabic name -- al-Haram al-Sharif. Obama is a closet Muslim. According to what I have read recently, Obama has been preferring Muslim immigrants for asylum and residence whilst rejecting Christians and other religions fleeing the Middle East, whilst American Muslim citizens get preference for US government jobs and other positions the government can influence. Muslims are taught from birth to favour other Muslims in preference to all other religions. He notoriously dislikes the British whom he thinks acted against his father. Well said. The last quote from Mr. George is my favorite. How shameful that Britain sent a general to lead the Arab invasion of the new state of Israel. Shocking. It makes me embarrassed to have been born in England. "Depending on his audience, Palestinian Authority (PA) President Mahmoud Abbas claims to desire a two-state solution." That's funny; its not in their Charter. Their Charter says they will use violence to get "back" all of Palestine. Lloyd George's Imperial War Cabinet of 1917, which adopted the Balfour Declaration, included the South African Jan Christiaan Smuts and the Canadian-born Arthur Bonar Law. Both went along with Lloyd George, but whereas Bonar Law was hesitant, Smuts was a life-long Zionist. Among the last acts of Smuts as Prime Minister of South Africa was to vote for the UN Partition Plan on November 29, 1947 and to recognize the State of Israel in May 1948. A few days later, on May 26, his party lost the general election to the Reunited National Party. For details of the deliberations in the Cabinet of 1917, see the book of David W. Schmidt, Partners Together in this Great Enterprise (2011). Thank you so much Mr. Richard Kemp for your breautiful article. It is inspireing to know that Israel has still some friends left --- not too many friends, but friends never the less. Unfortunately, we are living in a time when Jews are dispised in, practically, every country around the world --- what else is new? In the meantime, the fools in the world are doing their best to appease the invading Muslims. There will be no thanks coming to the appeasers. Either they convert to Islam or else... thanks again Richard Kemp and Gatestone. Col Kemp's commanding knowledge of history and support of the State of Israel is laudatory. One can only imagine his drive and determination on the battle field stemming from his belief system and committment to honoring the history of Israel. Thank you colonel. A tremendous article so well contextualized. Today as in the past it still takes courage to stand up for what is right, laying out the historic facts in the face of abusive threats from those willing to distort the facts and worse. As all cowards have done, they rely on the mob for protection. Richard Kemp is no coward. The Jews are too kind in their public pronouncements about the Arabs. There is no such thing as a Palestinian people. Never has been. Obviously there never will be. Palestinianism is a strategy devised by the old Soviet KGB and implemented with the help of Egyptians like Yassir Arafat, Edward Said, etc., in an attempt to delegitimize Jewish rights in the land of Israel after the Arabs proved incapable of defeating the Jews on the battlefield. The Israelis should point out these historical facts whenever the Jewish presence in the holy land is under assault. ISRAEL has a legal right to exist irrespective of what ISLAMIC IMPERIALISM HAS TO SAY. Mr. Kemp, your sympathies are perfect and your words are very informative. Thank you! The historical information helps us understand the "hysterical" Arab! In your article, you mention Abbas as the PA leader responsible for stealing or misuse of aid funds. I believe it was the PA leadership just prior to Abbas who initiated the misuse of funds, and I cannot remember his name....but I do remember his bad faith negotiations with Israel during President Bill Clinton's intense effort for peaceful resolution. I read about the euphoria that built up right until the PA leadership refused, at the last minute, to sign the agreement. When we discuss Arab-Jew hatred, we need to also acknowledge the very beginnings of that conflict which predate the Balfour Declaration. It is very ancient! That does not make it less controversial; it just makes it more important that we attempt to resolve it with a deeper insight. How do we resolve ancient conflicts? In this particular instance, the truth doesn't seem to make a difference nor does giving away land. The two state concept doesn't ultimately change any of the warlike notions either? When progress is mentioned, only more resentment evolves. 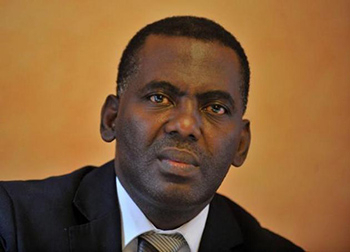 I believe, it is the sad reality that the PA and its' leadership actually profit financially from the situation as it is now, than if they were to attain to a stable peace: thousands of fervent fighters would have no raison d'être if peace was achieved. I also think that the presence of oil buried in Israel would create grave dangers for Israel should she attempt to extract it, refine it, and sell it. Even Israel's allies would want a slice of that pie to the greater disdain of the Arab-OPEC dynasty. I think that is the reason that the two state plan holds no progress or promise towards peaceful resolution of this very ancient conflict. This is a slight aside to this situation but I find it interesting!....Israel was advised by their very powerful G-d, not to lose courage but to enter the Promised Land aggressively and DESTROY every man, woman, and child of the nations living on that land. They were commanded to even destroy their cattle, sheep, and in general, to NOT allow any living creature to remain alive from those nations. Israel chose NOT to do that! They spared the people..they chose to live WITH those people. Looking at that choice they made at that ancient time, tells the real truth about how unfounded is the notion of perfidy the Arabs use to cause such hatred to exist in the first place. This historic reality speaks volumes for the world to use in determining which of these two magnificent races/ethnicities has the right to some sympathy!!!!! History is poorly understood and applied. Not only does the Balfour Declaration ignore the massacres of Jews but all non-Muslims in the region and the desperate measures applied by the Ottoman's and their territorial Sultans attempting to compensate for the problems created for their economy by the end of slavery. Laws justified by the theocratic bigotry of Islam were exploited. The Ottoman's committed genocide from the 1800s and the killing continued well after WWI. One of the principle myths Islam has been able to sustain in the west by exploiting accusations of "colonial guilt", is to grossly understate their dependence on slavery, and worse that the Islamic form of slavery was more humane than in the Americas. They also perpetuate the lie that slaves could gain their freedom by converting. That was seldom offered to their black slaves. After WWI, the Arab territories were disappointed not to be immediately liberated and endowed with self-governance, but if we have learned anything about the former Ottoman territories they were not ready for self-governance. The"nations" would more likely have resembled a Native American reservation defined by tribalism and to an extent still is. The Arab Spring and PA, Hamas movements are further proofs that failing to learn lessons of developing a state they merely fall back on the simplistic self-serving venial theocratic institutions they feel would empower them at great cost to all others. Islam may be a more beneficial non-secular means to govern, if race, color and tribe are of greater import. That is another lie the Islamic states revolutionary or tribal, propagandize. The intent of the anti-Israel lobby is not merely aimed at exploiting the Jews because they have succeeded where Islam has failed to prosper because it is stuck in theocratic ideals that loosely represent in some western minds as a progressive form of socialism, which of course it is not. Not unless socialists are willing to admit it is a form of theocracy intent on the justification of enslavement. Sort of like the USSR or the Nazis two of their mentors and institutions that still resonate with Islams leaders, dictators or Imams. Or face the consequences. They will not be pretty. Balfour or no Balfour, the Jews were let down before during and after the holocaust. Israel was there given to the British after defeat of Ottomans so European Jews could escape Hitler. It is there now for the new wave of virulent anti-semitism at least and where many flee to. As they face new and old Goliaths that seem to pop up constantly, they need support, prayer and encouragement. They have mine at least for what it is worth. And thankfully here at Gatestone. The true starter of the land of Israel for the Jews in none other than the trial of Alfred Deifus a Jewish officer falsely accused of spying for the enemies of France. A Journalist at the trial Theodor Hertzel started the Zionist movement. Jews started to return to the land of Israel. If we have anyone to thank for Israel renewed land of the Jewish nation it should be the Dreifus trial. The Balfour declaration was followed by nothing except by The White papers preventing Jews to escape the horror of the Shoa to living free in Palestine. What happen in between those two declaration is about nil in importance compared to The White Papers effect.